South Jordan, UT and Boston, MA - CallTower, a global leader in delivering cloud-based enterprise-class unified communications and collaboration solutions, announced today a Microsoft Teams Calling Plans. 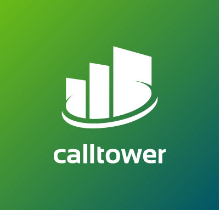 CallTower delivers an integrated Office 365 Microsoft Teams experience with global calling plans empowered by a US-based client services team, ensuring a personalized implementation, adoption, training and support strategy. CallTower has been voice enabling Microsoft solutions for years. As a Microsoft Gold Partner providing cloud voice solutions, CallTower’s solution enables analytics monitoring and management services ensuring the highest-quality user experience. The Microsoft Teams Phone System, powered by CallTower, enables customers to bring their current voice services into the Microsoft Cloud through Direct Routing. Direct Routing empowers the ability to leverage CallTower’s preferred rates and unlocks the full potential of a Microsoft Teams Phone System. CallTower exists to enable people to easily connect to transact business communications. Since its inception in 2002, CallTower has become a leading provider of cloud-based, enterprise-class Unified Communications solutions for growing organizations worldwide. CallTower provides, integrates and supports industry-leading, cloud-based, Unified Communications and Collaboration solutions, including Cisco® Unified Communications Manager, Native Skype for Business, Microsoft® Teams, CT Cloud, CT Cloud Boost, Office 365 and Zoom Video Communications for business customers.